Interactive Water Wall at Children’s Hospital – U+B architecture & design, inc.
Collaborating with The Elumenati and hospital staff, we developed a kinetic- based waterfall for the new Children’s Hospital Pain and Palliative Care Clinic. 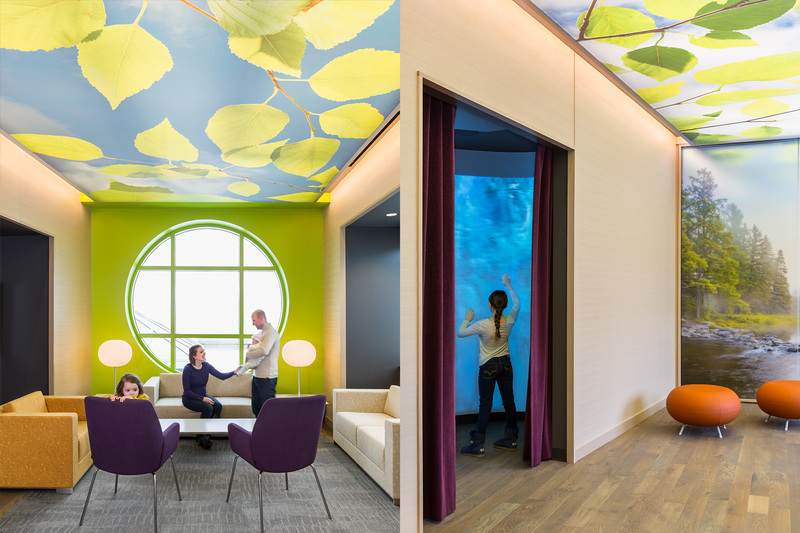 This unique projection wall creates a sensory escape for patients with the interactive light ripples and sounds imitating the patterns and currents found in waterfalls. Located directly off the lobby in the “Grotto”, this unique wall provides children with a place to play, move and immerse themselves while waiting for appointments.